This will be my last words on Luxury Barber Box for now. I’ve come to the end of what I had on the shelf. Yesterday they just released a reconfigured set of boxes instead of just having one they now have 4 which are Classic, Shave, Skin and Hair. The classic and shave boxes are close to what wet shavers would like. The classic is $32.00 a month compared to the shave box which is only $20.00. I’m waiting for the day when I can start this up again. I’m hoping soon. 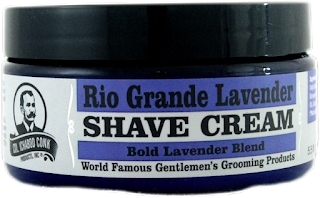 The items I selected for this shave are all from the box and they are Rio Grande Lavender Shave Cream, Game Day balm, and Fine Platinum after shave. The shaving cream states on the package that it’s a bold lavender and you better believe this is true. The scent is equal to other top notch lavenders I’ve used in the past costing way more than this tub. Lathering was no problem I created a thick, rich and creamy lather in less than a min. The performance was fantastic it was a surprise to me how great it felt applying it to the face. 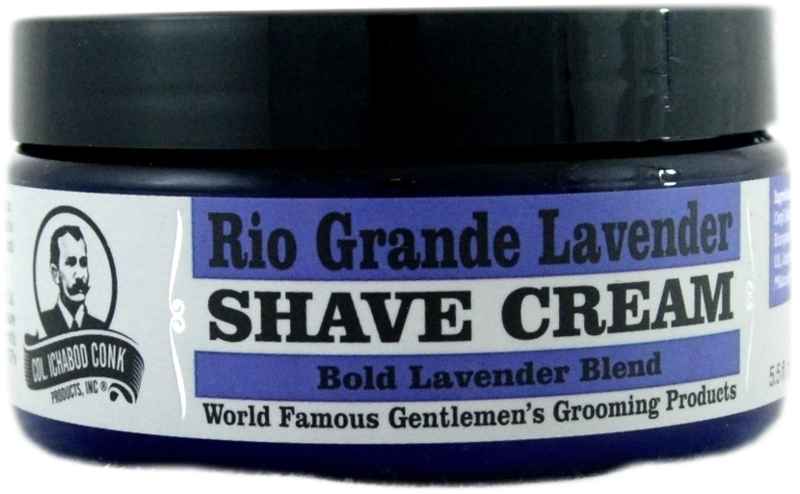 My razor had no problems going over rough spots making the slickness and glide tops for this shaving cream. After the shave I reached for the aftershave balm called Game Day. I cracked it open and to my shock it was not a cream but a gel. Once applied it provided this incredible feeling on my face that was very refreshing but after a minute or two something happened, it started getting tacky. My hands and then my face felt like it had glue on them. So for me it was disappointing. To get rid of this feeling I reached for the Fine Platinum after shave and It didn’t let me down one bit. Not only did it take away the stickiness on my hands and face it but it provided me with the ending to a shave I was looking for. So I highly recommend the shaving cream and the Find aftershave but not so much the Game Day balm it’s a shame too because I really did like the way it felt in the beginning.